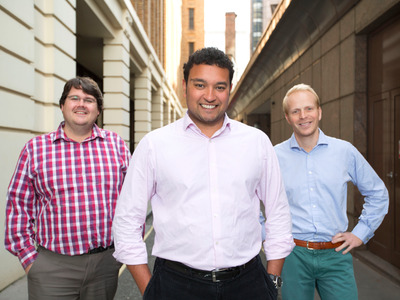 Funding CircleFunding Circle’s co-founders, from left, Andrew Mullinger, Samir Desai, and James Meekings. The European Investment Bank (EIB), the investment bank of the European Union, has agreed to lend £100 million to UK small and medium-sized businesses over peer-to-peer lending platform Funding Circle. It’s the first time the EIB has lent any money over a peer-to-peer or direct lending platform and comes just three days before Brits go to the polls to vote on European Union membership. Funding Circle’s online platform connects investors looking for returns of 7% on average with small businesses looking to borrow money. Funding Circle cuts out banks that would traditionally stand in the middle of such a transaction. The company, launched in 2010, does not take balance sheet risk itself but does underwrite the risk. EIB is not the first government-linked institution to lend over the platform. The UK government’s British Business Bank and several local governments lend money through the platform, as has the German development bank KfW. These institutions see the platform as a more direct way to stimulate small business compared to injecting funds into banks. It’s not clear whether the £100 million, earmarked for UK businesses, is contingent on Britain remaining in the European Union or how long this deal has been in the works for. Business Insider has contacted Funding Circle for more information and will update when we hear back. Investment by small businesses drives economic growth, and simple, efficient access to finance is essential to help small companies to expand, create jobs and harness new opportunities. This new and exciting partnership with Funding Circle demonstrates the European Investment Bank’s firm commitment to seeking out new ways to stimulate business investment across Europe. The £100 million backing will not only unlock over £200 million of new investment by small businesses across the UK, but also provides an innovative model for supporting SMEs that could be used elsewhere in Europe. Our partnership with the European Investment Bank is the first of its kind and represents another important step on our journey to creating a global marketplace where creditworthy businesses borrow from a diverse range of investors. This significant investment will ensure more businesses access the finance they need to grow and will help support economic growth and job creation across the UK. The £100 million from EIB will be reinvested on the platform once loans are repaid and the bank estimates the funding will provide ammo for £200 million of new loans over 7 years, when combined with £25 million from Funding Circle’s SME Income Fund. The deal comes months after Jörg Asmussen, a former member of the European Central Bank’s executive board, joined the board of London-headquartered Funding Circle. Funding Circle has lent £1.25 billion to around 16,000 small businesses since its launch. The company has a lending operation in the US and last October the platform expanded to Germany, Spain, and the Netherlands.